This red umbrella makes me happy: It represents the impending end of the Umbrella Wars of 2010. SEE, sisters got umbrellas at the Bean Festival. The bother...did not. So, behold the $3 umbrella, Bringer of Peace. 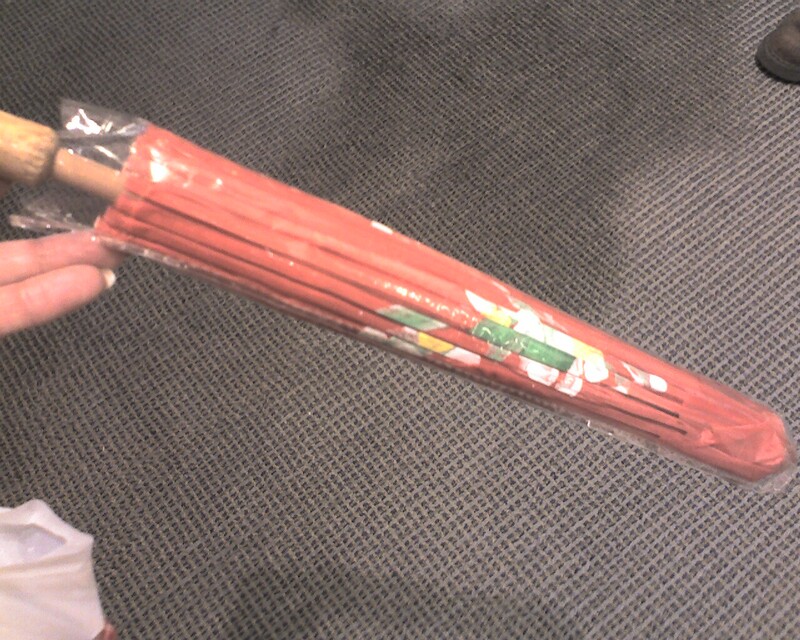 Also, San Francisco Chinatown tip: this same exact umbrella on the Union Square end of Grant was $6. The further "out" you go, the more the prices tend to drop. 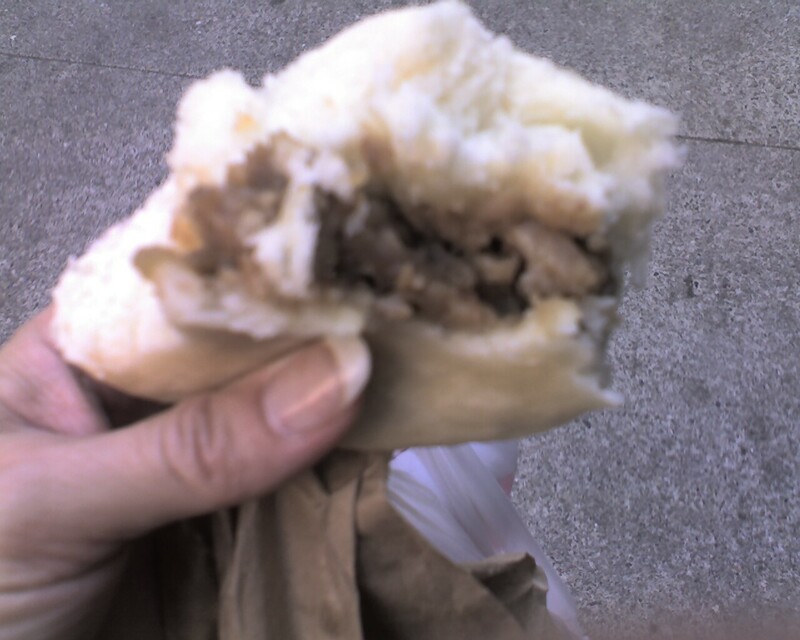 This pork bun, however, is NOT red...and in a development that will cause food purists to blanch, I really miss the obnoxious red food dye that used to make the BBQ pork nestled in that sweet steamed dough a most unlikely red. They're still awfully good, and at just a buck a bargain. Red ones can still be found in Oakland chinatown. In fact, I'm going to have one tomorrow!